Conveniently folds up for use as a cane or as a portable seat, and is so lightweight, it can be taken anywhere. With an attractive matte bronze finish, the Tri-Seat features a foam grip handle and a comfortable, formed seat. Cane height is fully adjustable for each individual. Designed for straddle seating only and requires legs to all be at the same height for proper use. 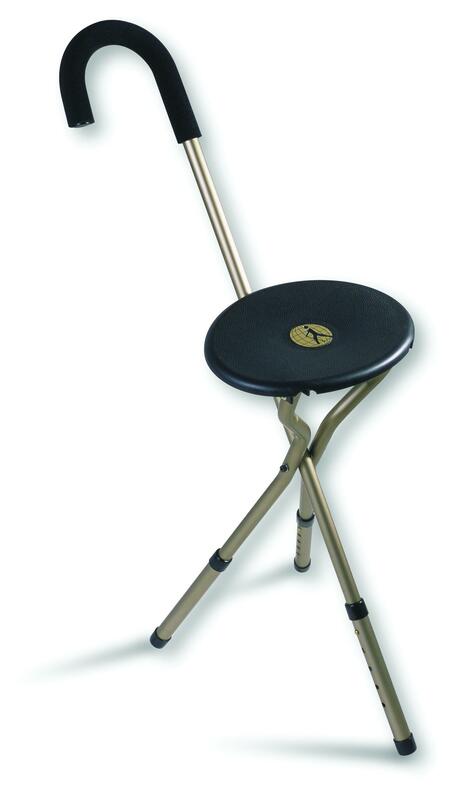 Converts from Cane to Seat Lightweight Matte Bronze Finish Fully Adjustable. Folds into a walking stick.